I am greatly obliged, and I should like it of all things, I assure you; but I am far too umble. There are people enough to tread upon me in my lowly state, without my doing outrage to their feelings by possessing learning. Learning ain’t for me. A person like myself had better not aspire. If he is to get on in life, he must get on umbly. 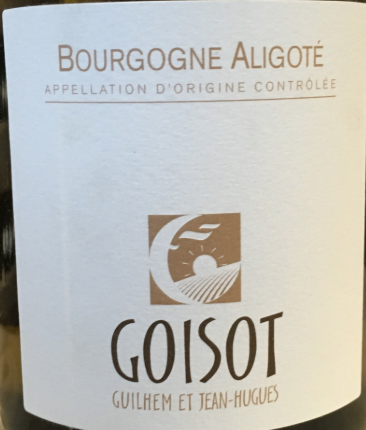 I don’t see Aligote as a passive aggressive grape variety demanding of our attention or approval, but rather as yet another example of how any variety that is carefully farmed and planted on interesting terroir has the capacity to produce very good and occasionally sublime wines. Of course, to begin, one has to unpick a few preconceptions and throw a bucket of cold Chardonnay over the patrician critical judgement that asseverates that Aligoté is a lowly grape, born on the wrong side of the tracks. Here is how Wiki damns the variety with a variety of the faintest of…damns. Aligoté (which according to DNA fingerprinting is a crossing of Pinot noir and Gouais Blanc) is used to produce a varietal white wine, and is sometimes included in the blend of Burgundian sparkling wine known as Cremant de Bourgogne. In the varietal appellation Bourgogne Aligoté AOC, up to 15% Chardonnay grapes may be blended in. Traditionally, the cocktail kir (also known as vin blanc cassis in French) is made by adding cassis to an Aligoté wine. 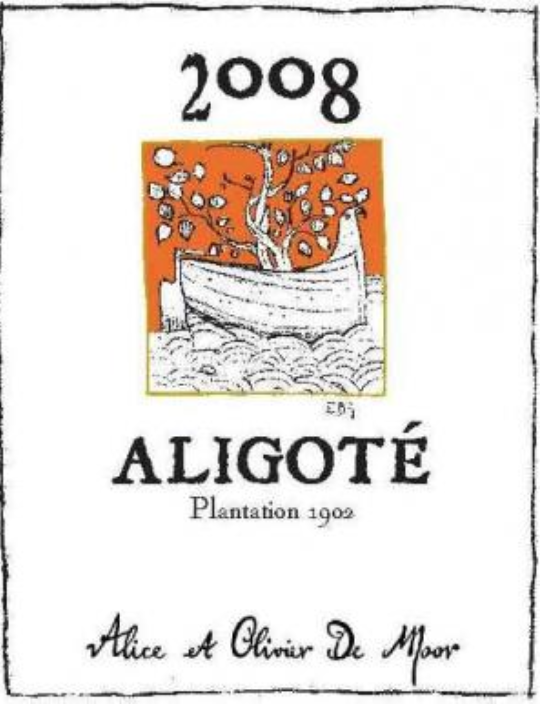 Aligoté adds acidity and structure to other varieties when blended. The grape is often blended with Sacy to complement its acidity. Oh yes, we’re only here for the kir – sub royale. The caricature of an acidic grape is more to do the propensity of a majority of wine growers to farm chemically, pick too early and harvest mechanically with resulting high yields (and diluted flavours). The same criticism might be levied at any other grape from a vineyard that has been maltreated (one thinks of lean, green and mean Sauvignon and under-ripe Chardonnay). Take the Goisots. They are perfectionists and this shows in their wine-making. They believe in the primacy of terroir and harvest as late as possible to maximise the potential of the grapes. 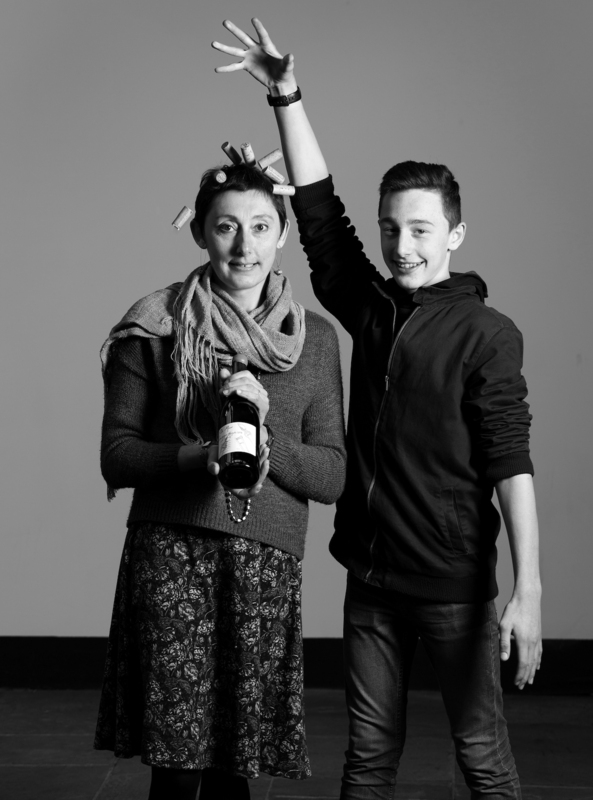 The domaine has existed since the 15th century and Jean-Hugues started working on the wines at the age of sixteen. The Goisots firmly believe that great wine begins in the vineyard and have worked in organic viticulture since 1993 to protect the soil and nourish the vines. No fertilizers, insecticides or weedkillers are used; wild or natural yeasts are encouraged. The Goisot estate is now worked biodynamically and is certified by Demeter. For the last few years they have decided to increase their plantation density in order to decrease the vigour of the vines and to promote competition between the plants. Akin to Chablis, the vineyards of this part of Auxerre possess many types of calcareous clay soils including Jurassic, Portlandian and Cretaceous. The Goisots harvest at the end of September into early October and fully destem the grapes before a slow pneumatic pressing. The fermentation is long with a temperature of 25° for the first part to preserve the expression of the terroir. There is a full malolactic conversion and the wine is matured in tank on its fine lees. The Aligoté has a fresh, candied bouquet with freshly sliced pear and mint aromas that are well defined. The palate is fresh and crisp with a slightly waxy texture on the finish and a dab of shaved ginger. And now for some nerves of steel. 1902 Plantation by Alice & Olivier de Moor. This wine is made from very old vines – vines that are unusual because they pre-date the ravages of phylloxera. The vineyard is near the village of Saint-Bris-le-Vineux and covers just half a hectare. The records show that the vineyard was planted in 1902 – hence the name – on rocky Kimmeridgian and a subsoil that alternates between mother and clay rock. The De Moors have farmed their vines organically since 2005, a rarity in the area. Rigorous deep pruning, sensible de-budding and careful canopy management with manual leaf thinning are all carried out to control the yields and ensure the best, most expressive grapes. Wild grasses are allowed to grow between the rows and they work the vines using a horse. Winery work is straightforward with a wild yeast ferment in oak barrels, (malolactic occurs naturally) before the wine matures in old oak for eleven months. No fining or filtration and minimal use of sulphur – only a tiny amount added at bottling and none during vinification. Fermented and aged in old oak this an Aligoté to age, extremely tight and high in stony acidity with citrus fruits and herbal aromas, very dense and long. This winespeak does not do justice to a wine which shimmers with authority – it has dense – or intense – transparency in the way that only wines with “perfect pitch” acidity can seem to glisten. Then the nose – glacier water buffing up a river stone, gorse flowers drenched with sea spray, all nostril-arching brilliance and then into the palate – linear, citric (juice plus pith), tears-of-chalk-stony, with tensile strength and just a smattering of lees spice. Liquid steel, this wine is an exhilarating skate across the palate. To coin a phrase, it takes you hither and Yonne. One of the greatest white wines I’ve ever tried. Their so-called basic Aligoté is also a gem. Younger vines here from a parcel in Chitry-le-Fort and 50% fermented and aged in tank, and the rest in barrel. Terrific wine with lovely energy and the sort of buttery apricot ripeness that one might associate with the northern Rhone. Dominique Lucas of Les Vignes de Paradis farms 10 hectares (2.5 of them in Burgundy in the Haute Côte de Beaune and Pommard) of certified organic (with BD practice) vines planted in a variety of different soils. Farming is the key – he employs preparations 500 & 501 as well as infusions of plants culled from the mountains and dried in the domaine. He himself hails from a family of Burgundian winemakers – he is the 5th generation – who own a small estate outside of Pommard. After completing oenology school, he opted out of returning to the family estate simply because he did not want to work within the strict oversight of the AOC, choosing instead to settle in the Haute-Savoie in 2008. Though his family’s history is steeped in Burgundian ways, you won’t find much of this influence in his cellar. Dominique vinifies his grapes in an array of different amphorae, barrels, and concrete eggs – no doubt a hint at his close friendship with Dominique Belluard who lives about an hour away in Ayse. Fermentations occur naturally and the only addition to the wines is a bit of sulphur at bottling. Dominique’s vines, as mentioned, are planted across many small parcels in and around the region of Pommard. 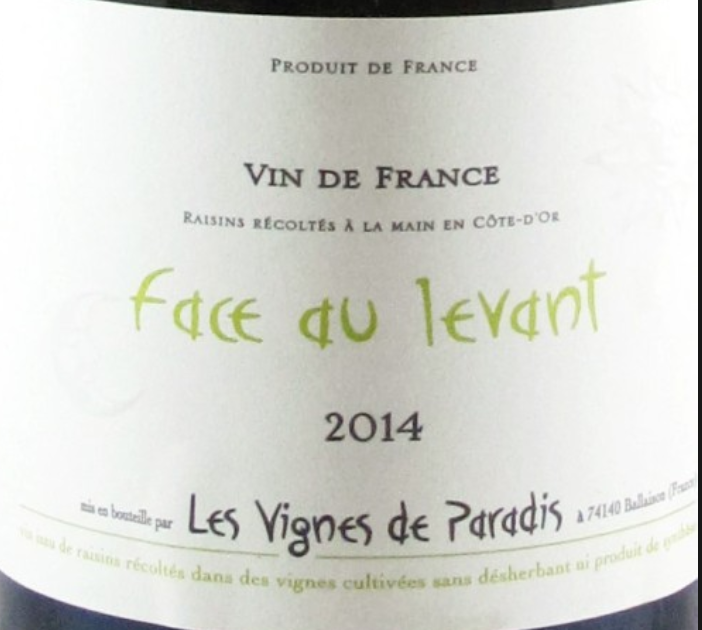 Face au Levant is an Aligoté from centenarian vines, 20% of which are ungrafted. Working the soil is done by horse. The terroir is composed of big white stones and white clay soils. Winemaking takes place in amphora. This is as astonishingly complex wine by any standards. The nose is very elegant, with notes of pear, candied lemon and orange blossom. The palate is full and energetic wherein a ripe acid mineral-edged quality perfectly animates the mid-palate and a saline and buttery finish provides excellent length. A sipper rather than a quaffer, so see-you-later-Aligoté! The greatest Aligoté we have ever tried? We would invite the 1902 Aligote de Moor over for a wrestling match – 200 years of experience on the mat! Time for the cynical critics to drink some stellar Aligoté accompanied by some ever-so-umble pie.